Inverness-based charity The Meeting Place is ready to hit the airwaves after being awarded funding by Scotmid Co-operative to purchase radio broadcasting equipment. Listen to the first Meeting Place podcast now! Gill Sutherland, Project Manager of The Meeting Place said: “Thanks to Scotmid’s financial donation to help purchase broadcasting equipment, our Nairn branch is now able to take its existing digital capabilities to a new level. “Our adult learners and young peer mentors will be trained and supported to broadcast on a live stream, which is a hugely exciting prospect as this will allow us to reach a much wider audience. Laura Paterson, Membership & Community Officer for SCOTMID co-operative’s North Region, said: “We are delighted that The Meeting Place can now provide the opportunity for its adult learners and young peer mentors to explore the world of radio, further allowing them to discover new channels of media and communication. Scotmid donates around a quarter of a million pounds to local causes through its community grant scheme each year. Applications are encouraged for projects that support; children and education, active lifestyles, the environment, health promotion, the elderly, social inclusion, Fairtrade, arts and culture, and charity. 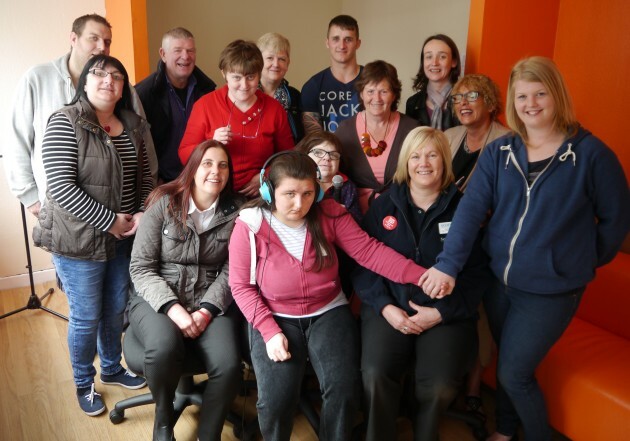 The Meeting Place provides IT, multimedia and digital inclusion for adults aged 16+ with learning disability, complex needs and adults on the autistic spectrum, on a one to one basis and in a group setting. Based in Inverness and Nairn, a key objective of the charity is engaging young people from mainstream schools who are in transition and unsure of their future path into further education, training or employment. Young people join The Meeting Place through Highland Council Activity Agreement programme, which gives them a taste of working life, building on existing skills and develop new skills while working alongside adult learners. For more information about The Meeting Place, visit www.the-meeting-place.org.uk.